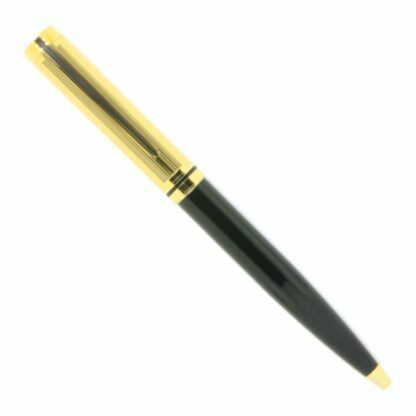 This executive style gold twist top with gold accents executive refillable pen is a good quality, heavy pen that comes with a PU Leather sleeve (not pictured) to keep it protected. 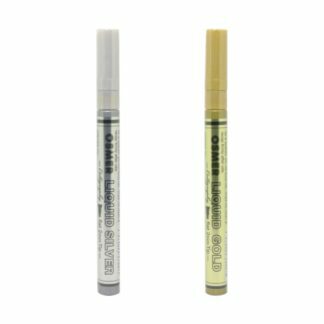 It fits a G2 Standard International Ballpoint Refill. 1.0mm Tungsten Carbide ball and Stainless Steel tip, for strength, longevity and consistency in performance. Please use the drop down menu to select your ink colour. 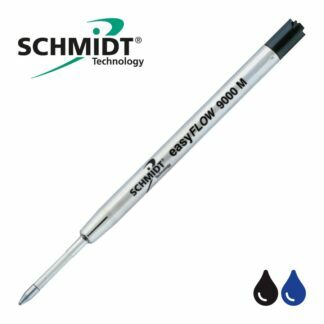 Quality pen, that you can replace the refills when the ink runs out. A 137mm long by 11mm thick full metal body – well balanced for good ergonomics, with a weight of 28 grams without the refill and sleeve. 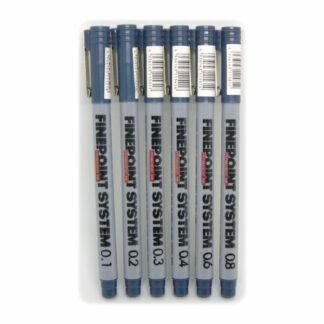 Excellent gift and a great addition to any Executive’s office or portfolio. 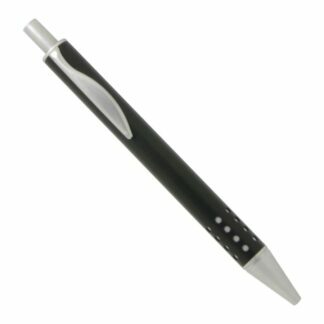 PU leather sleeve protects the pen from scratches and keeps it looking new. 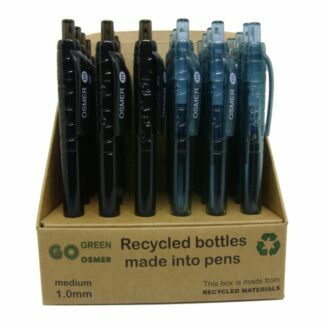 Retractable Twist / Swivel action that accepts all large capacity G2 size refills (Parker style/compatible). 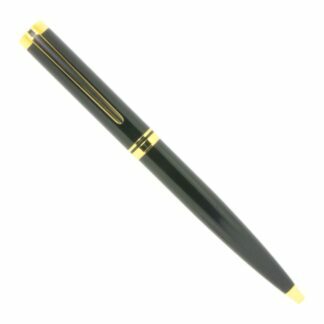 A gloss black lacquer finish and gold accents with a gold twist top.